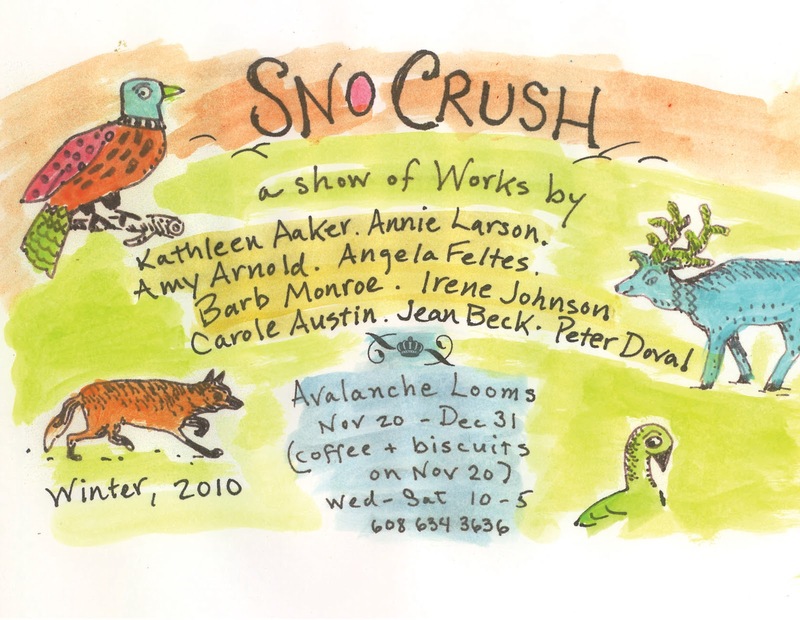 Going on right now, Sno-Crush, a show of textiles, dolls, and turned bowls at Avalanche Looms (store website and blog), Susan Johnson's fantastic workshop. Located in Avalanche, WI, more pictures of the show are on the Kindred Threads blog. Previous Previous post: New Stuff! Emilia Stand, Inkle Loom, etc.